I’m a sucker for memorabilia… postcards, stickers, and everything in between. Fortunately, I’ve cut back on my sentimental collections in the interest of keeping my belongings sparse and simple. The one exception? 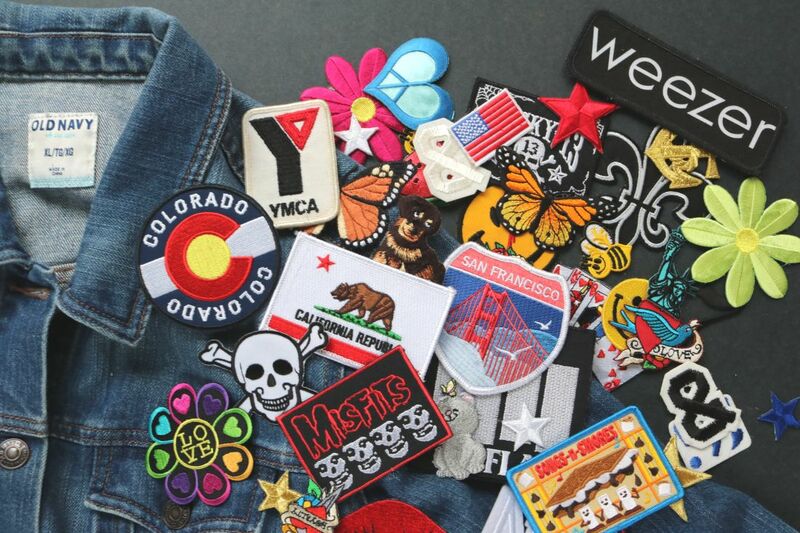 PATCHES! 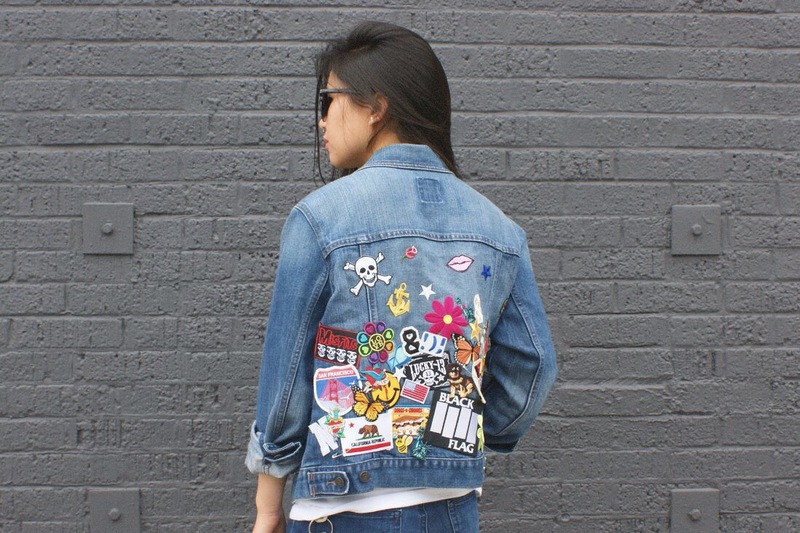 I’ve gathered quite a few while traveling and supply shopping in the hopes of whipping up a crazy, eye-catching denim jacket. 1. 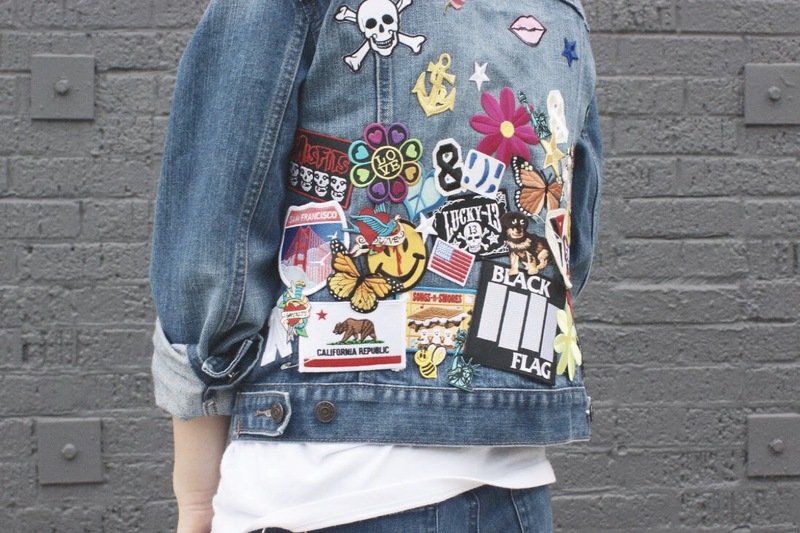 Layer the patches on the denim jacket and iron your heart out. 2. 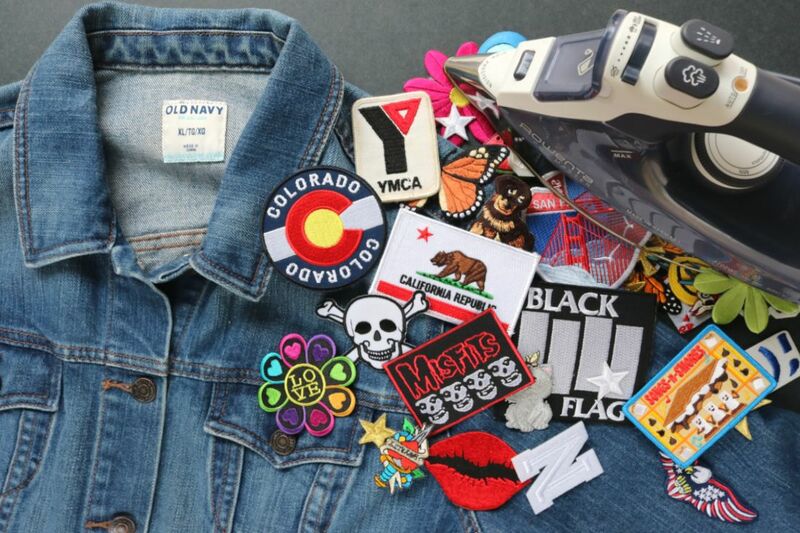 Rock your new jacket loud and proud. I like to look at it as a statement piece and wearable scrapbook all in one. Done and done! 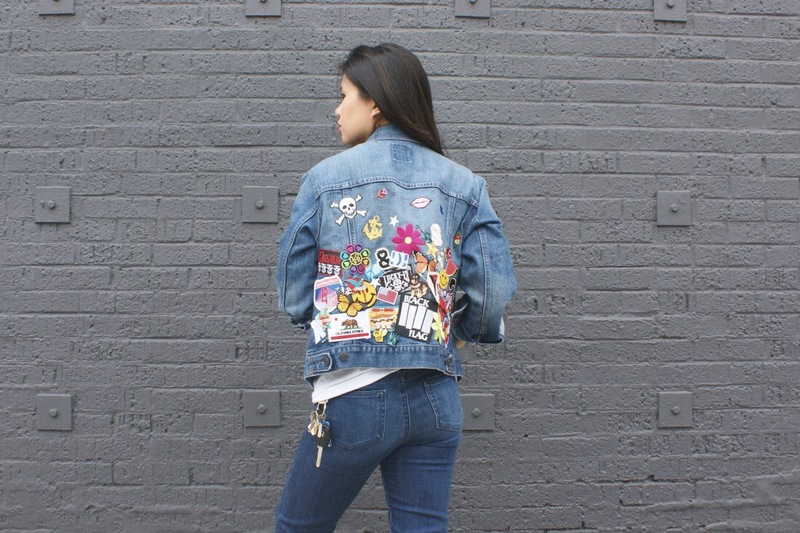 The awesome thing about this DIY is that you can add patches to it over time.